Students and young professionals often find themselves in a limbo, as they can’t decide which career or degree are the best for their future. Yet, something that you have to remember is that it is not the end for everything if you are in conundrum. You just have to take a break, spend time to contemplate what to do next, and if you put it in your mind, you can accomplish it. 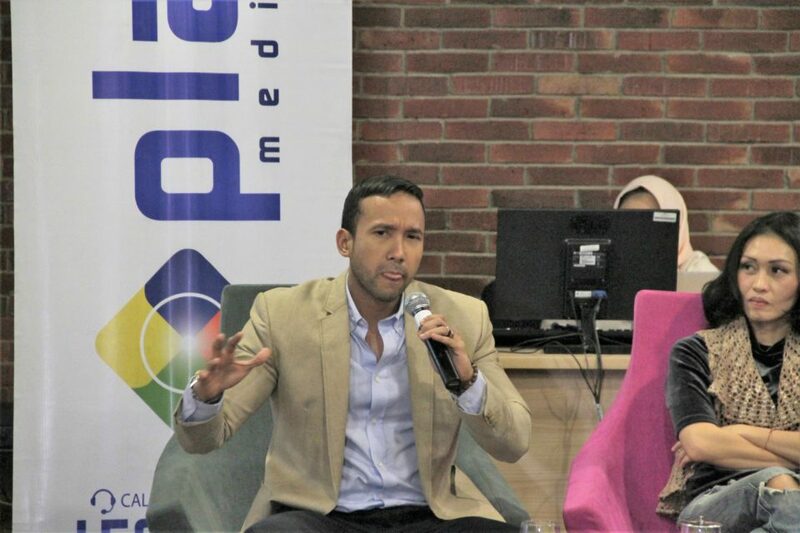 Those are the steps that Maruli Tampubolon and Mony Suriany have faith in as they share their experiences during #Playmediatalk event on Tuesday (6/7). 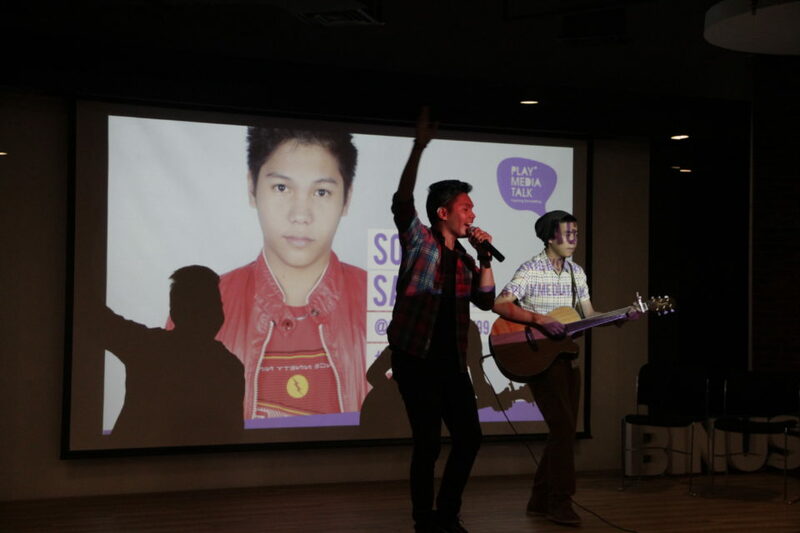 The event, with “Re-Invention” as its theme, was organized by Binus International in collaboration with MNC Play Media. Maruli Tampubolon is a successful actor and singer who is known for his collaboration with other singers, such as Raisa, Winky Wiryawan, and Syahrini. After graduating with law degree in Australia, he started his professional career as a law consultant for corporate clients. He then acclaimed several awards and acknowledgement which established his reputation. However, at some point he thought that this job was not what he wanted, as he is more passionate about working in creative industries, such as singing. “One day I told my father about my decision to stop pursuing my law career as I want to sing instead. At the beginning, he questioned my choice but as I explained to him gratefully he understood and he even supported me,” he recalls how he turned out to be a singer. To pursue his dream, he abandoned his well-established profession to build his singing career. He started by covering old hits with his personal touch and collaborating with a couple of singers and musicians. Successful as a singer, he also took part in a movie called “Terjebak Nostalgia” as an actor. Maruli said that in order to be successful, one has to start by having faith in himself. “The limit is yourself. If you believe you can do something, it will only lead to your success,” said the 29-year-old. Mony Suriany, another speaker of the event, also experienced turning point within his life. He is one of the people who introduced and developed Bikram Yoga in Indonesia since 2005. Around 20 years ago, he studied in the United States and started working for one of the biggest tech companies in America. “I spent five years with them,” said the founder of Yoga @42 Indonesia. When he was 28 years old, he was acquainted with yoga, specifically Bikram Yoga, and it sparked his interest in yoga. He even considered quitting his job to learn yoga, rather than pursuing better managerial position like his colleagues. He couldn’t hold back his passion in yoga and he finally decided to choose yoga as his life. After explaining his decision with his parents, he packed his bags to return to Indonesia to make his dream comes true. “I fell in love with yoga. I think this is my passion as I find peace whenever I do yoga. As a result, I want to teach yoga to other people,” he said. Since then, he has been living in Bali to teach yoga. Now, he is known as the person who introduced Bikram Yoga in Indonesia. 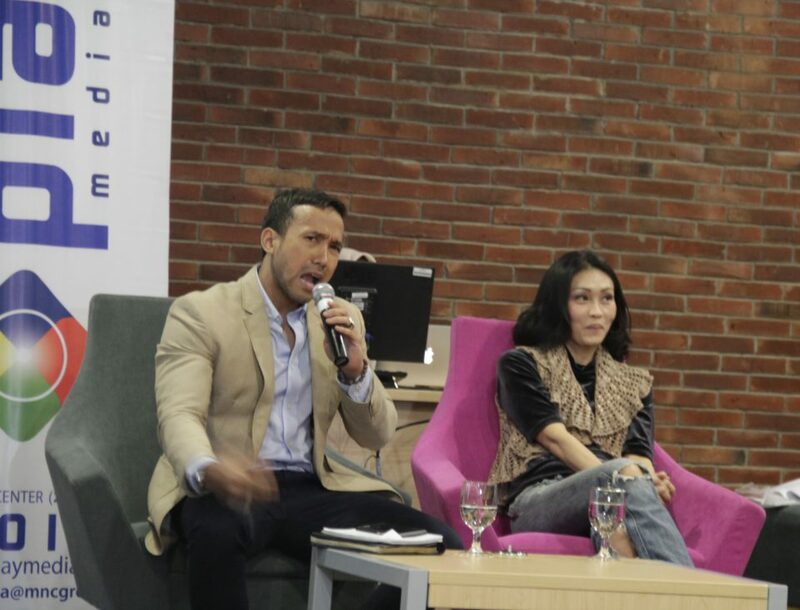 Marketing Communication Manager MNC Play, Oscar Prajnaphalla, said that “Re-Invention” is expected to inspire the audience and students to know how to find and fulfill their own potential. “By knowing it, it’s easier for people to develop their potential so they can have a job which fits their passion and potential. Further, we presented inspiring speakers so they can share their when looking for their potential,” he explained. 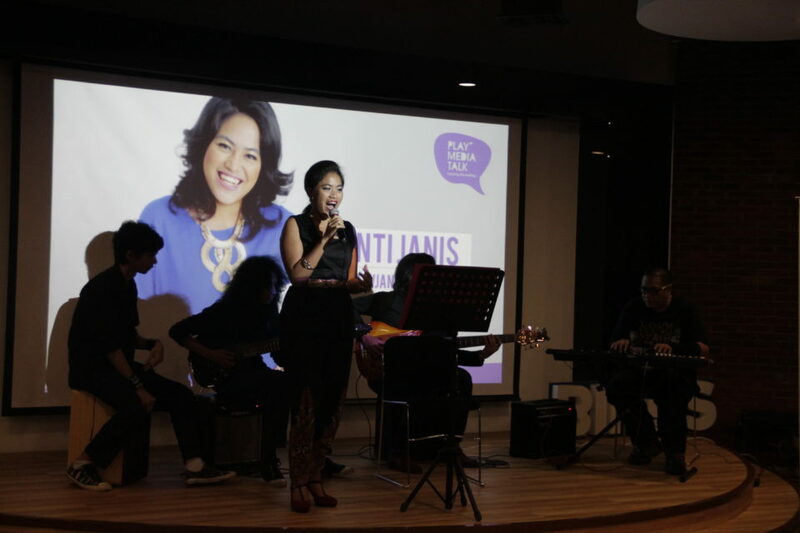 In addition, Head of Communications Program Binus International Christine Gneuss said that the speakers’ experiences – Mony who has passion in yoga and Maruli who is experienced in singing, acting, and law industry – expand the profession diversities of the speakers on #Playmediatalk. 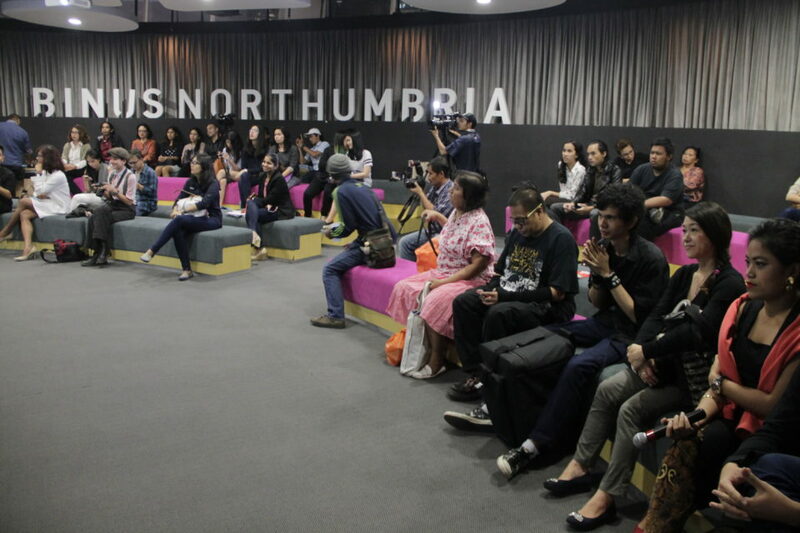 “It is a good opportunity for the students to directly ask the speakers about how they can be consistent towards their potential and passion,” she said. Besides the partnership between MNC Play and Binus International, #Playmediatalk is also supported by Star Media Nusantara, Binus TV, V Radio, Global Radio, Cipika.co.id, Kopi Good Day, and Go-Tix.